Some of the strategies we practiced on Feb. 22 come from Cris Tovani's text I Read It, but I Don't Get It. See her talking about what is important to get students to comprehend content area text. Don't forget, in your Literacy Binder, you also have a copy of the Common Core State Standards, which sets requirements for literacy in content areas. You can check out the CCSS website as well. Have you checked out the Reading Street sample website? ***You can download any First Stops and Teachers Manuals that you'd like copies of! Training: If you go to this site, "myPearsonTraining.com" and choose your grade level and program (Reading Street), you'll find tutorials and sheets on how to use the Reading Street core reading program. The Ingham ISD also developed a Reading Street Wiki for ALL users of Reading Street in Ingham County. This is a great place to connect with teachers in other districts! See Put Reading First, a document from the National Reading Panel that explains The Big Five. You can download it here for free. *I plan to continue professional development around these topics at all grade levels. 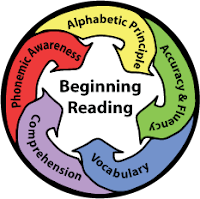 Many of you have mentioned that you use reading strategies with your students. Andy Wells and Mary Lou Turnbull thought that it might be nice to get a collection of these to share with all staff. So, send me your strategies and I'll compile them to share out with the whole district! You can send me an electronic copy at yip_ma@elps.k12.mi.us or a paper copy via inter-school mail to MacDonald Middle School. There is now a Companion Wikispace for the ELPS Literacy Newsletter. On the Wiki, you'll find documents from professional development sessions, research on reading and writing instruction, and documents shared by staff members.